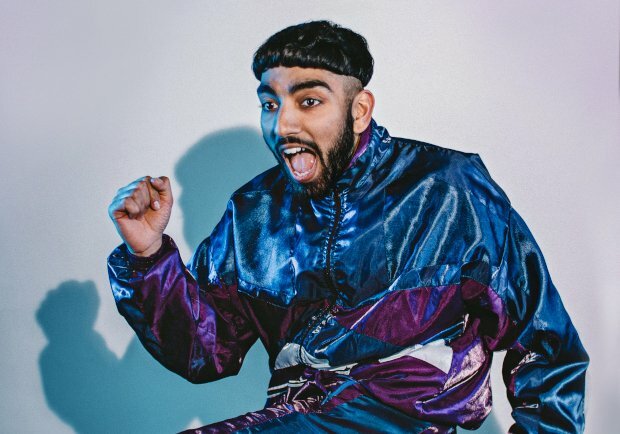 'I'll give you a minute to process what you've just seen,' says a sweaty Mawaan Rizwan, having just energetically performed an uninspired song and dance routine about mango chutney. The problem is that – this being the Fringe – most audiences are likely to have seen significantly stranger and more interesting things than this. Rizwan's not quite as wacky as he thinks he is. The YouTube star has undoubtedly led an interesting life, and there's plenty of comedy to be mined from the fact that his mother and brother have outshone him with their respective careers in film and on TV. But Rizwan has very few jokes about his unique situation and he relies on broad characterisations and charm to get by. Eager to please, he routinely breaks out into song and dance numbers which needlessly distract from the story he's trying to tell. He claims that he's been trying to make his comedy more meaningful but Juice is a long, long way from any sort of profundity. Rizwan has some nice, honest material on his relationship with his therapist boyfriend and his mother's unlikely journey from matriarch to competition is certainly unpredictable, if rushed here. But there's far too much filler, and Rizwan's irritating reliance on clowning around gets in the way of actual jokes. Pleasance Dome, until 27 Aug, 5.30pm, £8.50–£10.50 (£7.50–£9.50).